First 5G iPhones coming in 2020 as Apple and Qualcomm make peace | What Hi-Fi? Tech giants Apple and Qualcomm have put their differences aside in a move that could herald the arrival of the first 5G iPhones in 2020. The two companies have been at loggerheads for the past two years over a multi-billion-dollar royalties dispute. But following Apple’s increasing concerns that current iPhone modem chip supplier Intel would not be able to fulfil 5G orders in time, the Cupertino corporation has decided to settle up. An undisclosed payment to Qualcomm seems to be preferable to the time-costly expense of the proposed San Diego court hearing, as reported by Nikkei Asian Review. The deal will see a six-year licensing agreement between the two firms. 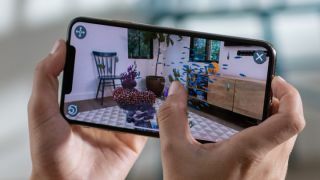 That will allow Apple to begin catching up with the likes of Samsung, Huawei and LG, who have all already shown off their 5G handsets. It also marks Intel’s exit from the 5G smartphone market, on which it already admitted it had been a late starter. The 2020 timeline suggests that those waiting for the next generation of iPhones, expected in Q3 of 2019, will have to put up with streaming their hi-res videos over 4G. However, considering that 5G mobile networks will have far from blanket coverage in the immediate future, perhaps that isn't too big a compromise.